CITIZEN: I don’t know exactly where I stand with health care, but personally, I think something probably should be changed or tweaked to make it better. But one thing that I keep hearing about is, that seems like to me a good way to lower costs is getting rid of the 10 mandatory things that have to be covered under health insurance plans the way that it is now, and letting people pick and choose what kind of health care they want. So if a guy or a young woman who doesn’t want to have a child doesn’t want to get maternity care coverage then they don’t have to, if you know you’re probably not going to get diabetes you don’t have to get diabetes coverage. I was just kind of curious on your opinion with that. NOBLE: I’m a big advocate for personal choice. I don’t think that anyone should be riding herd on the people. In this situation I’m just like you, the idea of a single man having to have mandatory maternity coverage just seemed kind of silly to me, and I don’t think that a woman should necessarily have to have coverage to cover prostate exams. So to me that just seems kind of foolish and common sense would say let’s give a person the opportunity to pick and choose what it is they’d like to have covered. So to answer your question, I don’t like anything that’s forced down, pushed down our throats or anything that’s trying to be mandated to people. We have that opportunity and that responsibility, and quite frankly, if we make a mistake then we’re the ones that are accountable for that mistake. If we choose not to get a particular coverage and get the illness, then we’re the ones that have to deal with that. CITIZEN: I just have a question, it’s kind of more of a hypothetical, so sorry to take away time from — and I don’t know a ton about this, but it’s about health care. One thing I am just curious about your opinion with this. It’s obvious you guys were talking about super-expensive and one thing I have heard, especially with Republicans talk about is getting rid of what they are calling essential health benefits so like if you are a guy you don’t have to pay for maternity care because you are not going to get pregnant and if you are a woman you won’t have to pay for male-specific services and you kind of get to pick things that would specifically affect you. I was just kind of curious about what your opinion is on that? BELLINO: When Obamacare came out or the ACA I would buy my own insurance, I had a daughter in college and I chose not to take pregnancy coverage, saved me $300 a month. I made that choice. CITIZEN: So it is pretty apparent to me that health care needs to be fixed. In general it is just a whole hot mess. And I think a good place to start would be with the, I think they’re called the essential health benefits, there’s like 10 of them. A good example would be that I am a young, healthy woman who has no plans of having a child any time soon, but I would still be expected to pay for maternity care. Or that I’m also a young, healthy person with no history of diabetes in my entire family, and I am still expected to pay for coverage for diabetes. 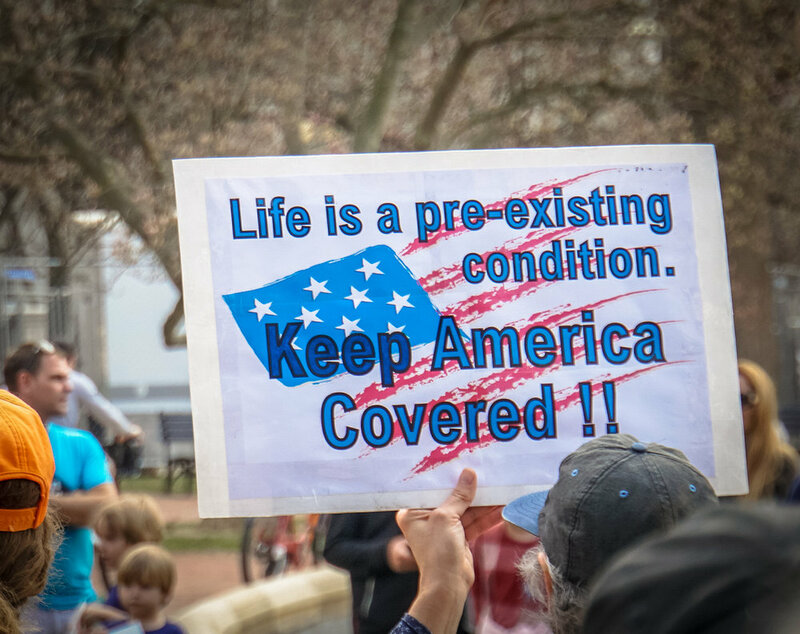 Like I’m paying for things I am not going to use, I’m not going to need, and I feel like if I were just able to choose what I would like to have coverage for, things that I might actually need, it would really help lower the cost overall. I guess I just wanted your thoughts on that. ZORN: You’re absolutely right. Unfortunately that’s a federal law. CITIZEN: Right, I mean, I just figured states start the change. ZORN: I have talked to our Congressman about that and I know they had, it was happening in the works, I don’t know where it’s at or what the end result was. But they recognized that it was a problem, that you should be able to pick and choose what type of coverage you want. Most of that came because of the Obamacare and depending what they do with the remainder of that, in probably will have something to do with what you’re thinking. I am fully in support of that because there’s people like you say that can’t get pregnant anymore, but yet they have to pay for that coverage. And it’s silly that they have to do that. CITIZEN: Yeah, through Obamacare. And I just, I want to ask you about like essential health benefits, because I’ve been looking into it more, and I don’t understand why she has to purchase essential health benefits, like in a plan, it covers maternity care — why is she paying for maternity care? She’s not having any more kids, like, you know, why is she paying for pediatric care when none of her kids are that are, and what can be done about that? ZORN: I understand. I’m going to sound like I’m passing the buck, and that’s not how I want to sound. This is a federal issue. And I’ve heard this same thing, over and over, and I suggest that you give your Congressman or Senator, Senator federal, on the federal side, and talk to them about it. I can tell you that Congressman Walberg has, I’ve heard him speak about this issue in the past, and I think he knows a lot more about it than I do, because I’m a state Senator, not a federal Senator. So, I would really suggest you talk to him, to meet him or [inaudible]. CITIZEN: Okay, is there anything that can be done about that at the state level? ZORN: Not on a state level, because it’s a federal law. We can’t, we can’t circumvent federal law. But it is a problem, and you’re absolutely right that, why should we pay for something that we’re not going to use? I’m with you 100%. CITIZEN: I had just a couple of questions about health care. One of which, I was just curious what you thought about the new Senate health care bill that came out yesterday. And then also and just more specifically, and I guess this is more of a hypothetical type thing — but one of the things that I’ve been reading about that would lower the cost of health care and health insurance that sounds to me like a good idea but I want your take on it, is letting people kind of pick and choose a la carte what they want instead of having the mandatory things. So an older person wouldn’t need to pay for maternity care. I’m a younger, healthy person who has no history of diabetes in my family, I wouldn’t necessarily have to pay for diabetes care. I was just kind of wondering what you thought about that and then also the new Senate bill. IDEN: [...] In terms of being able to pick out, absolutely. You should be able to. That makes a lot of sense. We know that across the board health care needs are different for every individual and based upon what they’re looking for and what makes the most sense.